The Royal Shakespeare Company, Louise Withers, Michael Coppel & Michael Watt today announced that Matilda The Musical will commence performances at Melbourne’s Princess Theatre from 13 March 2016 for a strictly limited season. The winner of over 50 international awards, including 12 for Best Musical, the RSC’s production of Matilda The Musical is currently enjoying a highly successful season in Sydney with standing ovations at every performance and tickets currently on sale for performances through to 31 January. Matilda The Musical is based on the beloved novel by best-selling author Roald Dahl (Charlie and the Chocolate Factory, Fantastic Mr. Fox). It is the story of an extraordinary girl who armed with a vivid imagination and a sharp mind, dares to take a stand and change her own destiny. Having proven an enormous success in London’s West End and on Broadway, where productions continue to play to packed houses and capture the imagination of young and old alike, Matilda The Musical opened to unqualified rave reviews in Sydney earlier this year. The Daily Review described the production as “nothing short of a miracle”. The Australian said the show “makes you want to punch the air with delight” and Time Out Sydney called the production “a freaking masterpiece”. Tickets for the Melbourne season will go on sale on October 20 through Ticketmaster. Matilda The Musical is directed by Tony Award® winner Matthew Warchus (God of Carnage), who helms this production with a book by Tony Award®-winning playwright Dennis Kelly and music and lyrics by Australian Tim Minchin. The production has sets and costumes by Tony Award® winner Rob Howell, with choreography by Tony Award® winner Peter Darling (Billy Elliot), orchestrations, additional music and musical supervision by Christopher Nightingale, lighting by Tony Award® winner Hugh Vanstone, and sound by Simon Baker. 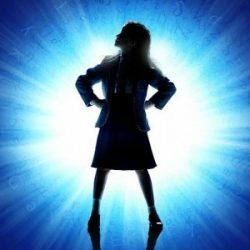 Matilda The Musical was commissioned by the RSC and played to sold-out audiences at the Courtyard Theatre in Stratford-upon-Avon for twelve weeks from November 2010 to January 2011. It transferred to London’s West End on Tuesday 25 October 2011 where it opened to rave reviews. The New York production of Matilda The Musical opened on 11 April 2013 at Broadway’s Shubert Theatre to rapturous reviews and was celebrated on 10 “Top Ten” lists for 2013, including TIME Magazine’s #1 Show of the Year. Matilda The Musical’s award-wining success includes sweeping the board at the 2012 Laurence Olivier Awards in London with a record-breaking seven awards, and winning four Tony Awards® and a Tony Honor for Excellence in the Theater for each of the four girls sharing the title role on Broadway in 2013. Matilda The Musical is produced in Australia by the Royal Shakespeare Company, Louise Withers, Michael Coppel & Michael Watt with André Ptaszynski and Denise Wood as Executive Producers. This production was originally developed with the support of the RSC Literary Department. The RSC Literary Department is generously supported by THE DRUE HEINZ TRUST. The RSC Ensemble is generously supported by THE GATSBY CHARITABLE FOUNDATION and THE KOVNER FOUNDATION. In person at the Princess Theatre Box Office or any Ticketmaster outlet.